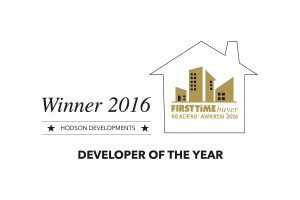 Led by an array of experienced industry figures, the Hodson Developments team boasts a wealth of experience, resources and industry knowledge. It’s the unparalleled skill set that enables us to tackle and see through some remarkably ambitious developments. We are committed to recruiting great talent to join our dynamic team. From construction, land and development to sales and marketing, we’re always looking to build our ever growing company. And a property career at Hodson Developments can be very rewarding. We offer very competitive packages, a great range of benefits and there are great opportunities to learn and develop your career within our company. We will give you the support you need to make your career aspirations a reality. We’re not just about bricks and mortar; we need people with a wide range of qualifications, skills and experience. There are plenty of opportunities to join our winning team. Our Commercial Team works with the Land Department to identify the costs of developing new sites. They also have responsibility for the purchasing of materials, services, tendering and awarding subcontracts required to develop our sites. Our Build Teams have responsibility for the entire build program on our sites. They oversee the construction process, ensuring that the new homes are built to our high standards in a safe environment and on time. The build teams work closely with the Sales Teams to assist in the hand-over of the new homes to our customers. Our Land Team continuously seeks out opportunities to acquire suitable sites to build new homes. They also work closely with the Legal Department to secure the appropriate planning consents. Our Legal Team works closely with a number of departments. Firstly they work with the Land Department in the purchasing of land, the Technical Departments in agreements and processes, and with the sales departments with regards to exchanging contracts and legal completions. Our customer service department, called Customer First, implements our quality control process and inspects properties upon completion. They also arrange or carry out any maintenance work required in the customer’s new home. Our Finance Team works with all other departments, and is involved in activities such as land investment, cost control, forecasting, budgeting and accounting function for the region. Our Technical Teams are involved in designing and planning new homes, the layout of the development and the landscaping, as well as providing a technical service to sites during the build stage. Our head office has a Sales and Marketing Department that is responsible for the marketing and promotion of all developments. Each of our developments has its own Sales Team that has knowledge of the local market and can advise customers on the range of products available. Those Sales Teams support the customer from start to finish and ensure they are kept up to date with the ongoing work at their development. The Sales Teams also strive to ensure that the sales presentation of their sites, including show homes, are of a high standard. In return for your commitment and enthusiasm we offer a very competitive rewards package. As well as this, we will actively support your learning and development through extensive training opportunities. So, if you want to make an impact in your first job, Hodson Developments is the place for you. We welcome graduates, school/college leavers and work experience candidates who want to get stuck in straight away. In return, you’ll get the chance to carve out a rewarding property career with a company that is as committed to its employees as it is to business success. If you want to find yourself in a friendly, collaborative environment that allows you to learn valuable skills from day one, join us. Hodson Developments is an equal opportunities employer.